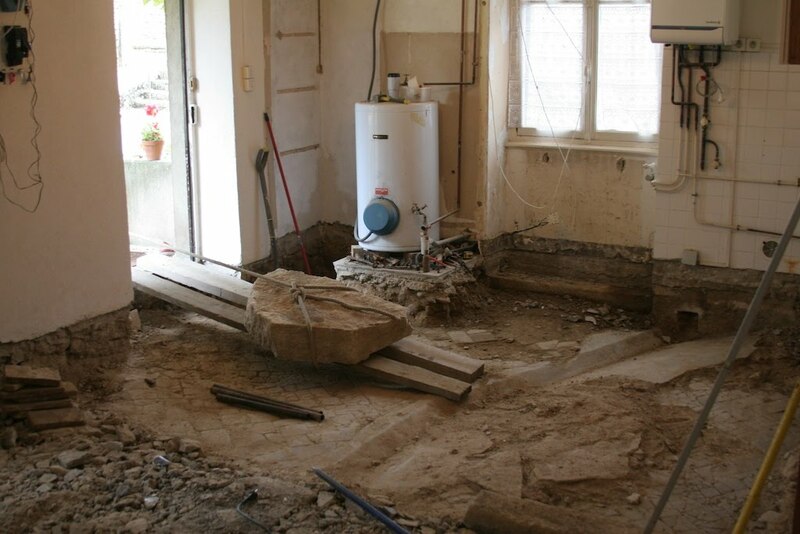 The big stone being scooted out of the house is actually a stone sink. It had been used as fill, along with many other large stones. 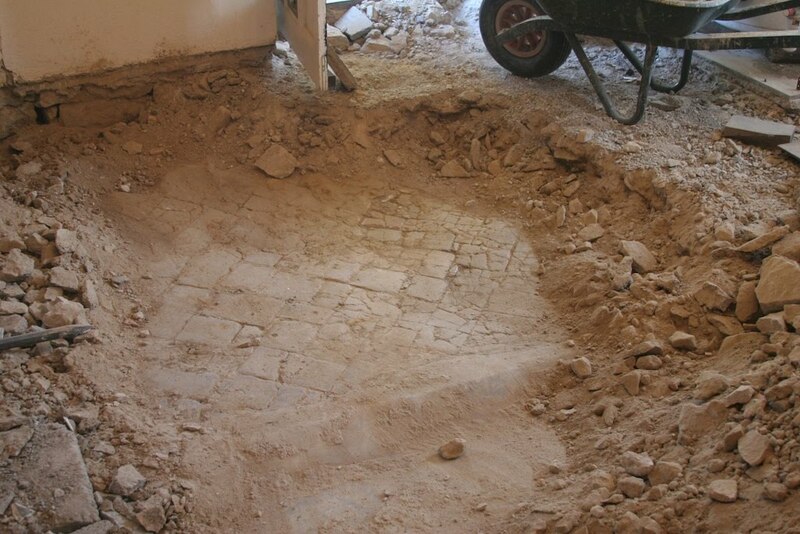 He also uncovered a very old brick floor, laid in a herringbone pattern. Neighbors have told us that the building used to be a stable. You can see the drain that was carved into the floor, which would have been useful in a barn. With the nicely laid floor, however, it seems that before becoming a stable the building had been a residence. Unfortunately we will have to cover the cool old floor up again as it’s about a foot and a half under the current floor level and is too broken to be able to be taken up and re-used.